*Originally published at Charcoal and Gravel. In early 2017, Arafat Mazhar was struck by a particular question: what makes human rights-based advocacy so ineffective in Pakistan? 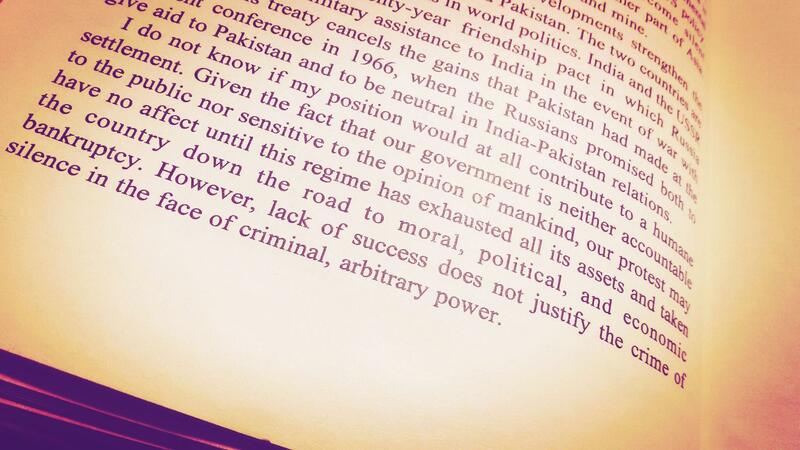 He reached the conclusion that many, if not all, such initiatives rely too heavily on a framework of human rights and an associated vocabulary that is not internalized, understood or readily accepted by the vast majority of people in Pakistan. The public is an ideal target of the emancipatory potential of such discourse however, they remained incapable of accessing it. Something as foundational as the constitution did not have an adequate local learning resource. It was then that he and a few other people decided to produce an animation to explain the constitution with an indigenous setting and characters. The purpose was to highlight the notion that knowledge of the constitution can inform people of their rights and can help safeguard those rights. And so began Shehri Pakistan in April 2017. Shehri Pakistan is an organization geared towards imparting accessible civic education and constitutional and legal literacy through online animations in Urdu and other regional languages. It seeks to untangle democracy, governance, and bureaucracy for the common man and to promote comprehension of an individual’s central relationship with the state under a democratic system; that of citizenship. In the same spirit, it is dedicated to cultivating the ideal of an informed, active, participatory and responsible practice of citizenship in the country. Subsequently, Shehri Pakistan has organized extensive campaigns featuring informative and entertaining animations and posters on several fundamental rights, on the different tiers of governance and principles of democracy, and on responsibilities of the state and citizens. Ranging from Passing of the Law; Workers Rights; How to Exercise Your Right to Information; Your Right to Due Process and Fair Trial; How to Vote; What is the Constitution; Right to Clean Water; Tertiary Care Hospital Guidelines and many more. Keeping abreast of national developments and events, they also produced, in the lead up to the recent elections, a string of videos offering explanations of different electoral and government-formation processes, structures and institutions. More recently, they rolled out their latest video on How to File an FIR. Apart from these animations, Shehri Aaj is another feature which is essentially a series of informational and critical videos that delve into issues and subjects of civic education, democracy, governance, and social problems, linking the information presented in Shehri animations to persisting problems and concerns in local communities. So far, more than 70 videos have been created as part of Shehri Aaj, some of which pertain to Transgender People and their Voting Rights; Low Voter Turnout; Animal Rights; Mental Health; Acts of Election Violence; Rights of an Arrestee; Appropriate Police Behavior; and Traffic Rules. They’ve been able to garner over 19 million views, with the most popular videos relating to the Rights of Domestic Workers; Treatment of Police with Citizens, and Problems Faced by Coal Miners. Moreover, Shehri Helpdesk, an initiative run through Facebook, has responded to hundreds of queries on public and legal concerns. On top of this, Shehri Pakistan’s outreach program continues to organize regular sessions on civic and citizenship education in various public and private schools in Lahore. In a little over a year, Shehri Pakistan has established a robust digital presence on its Facebook page and amassed nearly a million followers, while disseminating its content to 42 districts, with a total poster reach of 15 million, engagement of 8 million, and a video reach of 50 million. Arafat Mazhar, founder and director of Shehri Pakistan, explains the idea behind Shehri Pakistan candidly. In his words, when a vast majority of your population is unable to access the relevant vocabulary, discourse, historical framework, and sociocultural context to comprehend the fundamentals of human rights and democracy, it becomes pointless to discuss these systems. In order to further these, it is necessary to educate the people in a way that is palatable for them. These concepts and ideas exist on paper but not in actual comprehension and currency among people. Shehri Pakistan is a unique initiative not only because it engages with a demographic which is usually excluded from human rights discourses, i.e. the vast majority of Pakistanis who consume information in Urdu and consequently finds the constitution, democracy, and principles of human rights alien, but also because Shehri presents this complex often inaccessible information in simple Urdu using local motifs, visuals, characters, and situations. Similarly, there is a lack of emphasis on citizenship in Pakistan that the organization seeks to redress. “Shehriat, for the majority of the population in Pakistan, mainly pertains to the fact, experience and reality of living in the country, not the values embedded in the concept, such as equality of citizenship or rights and responsibilities,” says Fatima Anwar, a lawyer at Shehri Pakistan. The role of Shehri Pakistan is then designed to rebuild the discourse and idea of shehriat as both a set of concrete values and a crucial practice; to locate the place of the citizen within a democratic structure of governance and model of life. There are still, however, distinctions to be made and lines to be drawn for the organization. “We don’t do advocacy since our aim is education. Our video on the Separation of Powers, for example, is not directed towards any activist goal but simply an awareness of how the state works, or should ideally work,” adds Arafat. Shehri Pakistan is deeply committed to familiarizing citizens with the existing system of governance and the workings of the state that large swathes of the population otherwise see as an alien or complicated sphere that they lie outside of. Engendering a sense of integration and familiarity with the system could inevitably push people to participate in it, appeal to it, and hold it accountable. “We hope that the Pakistani public will eagerly engage with and use our educational resources. And it is heartening to know that it does happen. Recently, we received a message on our page from a follower who narrated how he adamantly refuses to pay bribes to the traffic police since he now knows the actual process of depositing the challan courtesy our animation on Traffic Rules,” expresses Rasti Farooq, Campaign Design Officer. Shehri Pakistan has forged multiple collaborations with numerous organizations on various issues. This has included partnering with Facebook in the latter’s campaign against fake news and to prevent the spread of false news and information by disseminating localized tips for improved news and digital literacy among Pakistani Facebook users; partnering with the Chief Minister Punjab’s Special Monitoring Unit on the subject of healthcare and the rights and responsibilities of patients; working with Bolo Bhi on the Right to Information; with the Child Protection Bureau on a series of posters on child abuse awareness for parents, teachers and children; and with the National Commission on Human Rights over a series of animations based on fundamental rights. 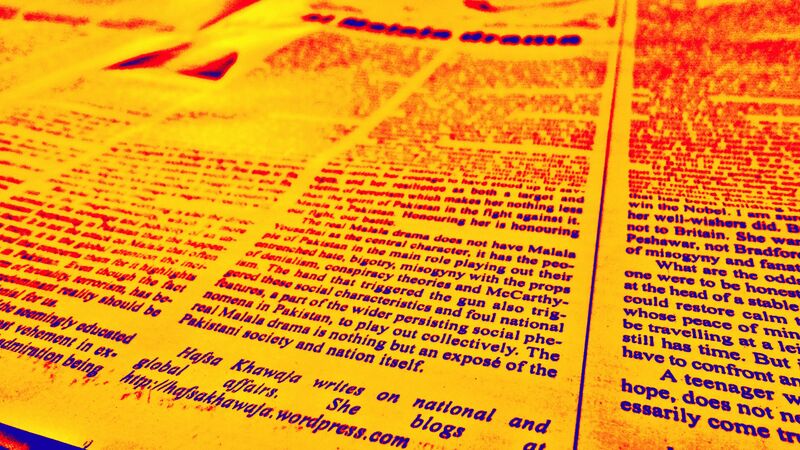 In addition to organizations like Rabtt using Shehri Pakistan’s material in their programs, the circulation of its content has been helped by the interest shown in it by official accounts of the Government of Pakistan on Facebook, Twitter and Instagram, which specifically shared the videos from the organization’s election-season campaign. 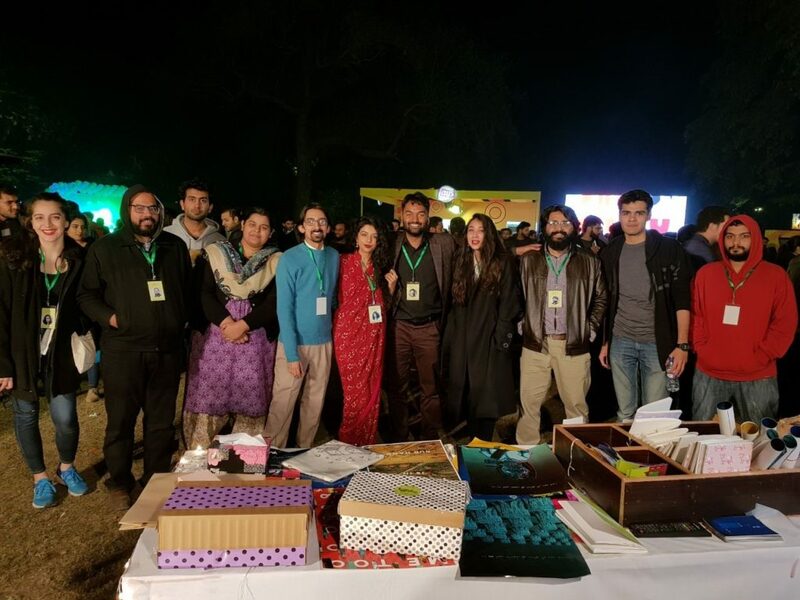 For the immediate future, Shehri Pakistan has planned a host of programs and projects ordered around the singular goal of branching out from their prominent digital presence to a presence on the ground. A major new project is Shehri Pakistan’s own legal aid clinic called Shehri Wakeel. The project is already operational in Lahore and provides free or low-cost needs-based legal services such as filing bails, litigating cases, and drafting legal documentation. “We realized the need for substantial, on-ground legal aid when Shehri’s followers started messaging us about their personal legal troubles. For example, we had run a long online campaign on labor rights in Pakistan after which we received a host of messages from working-class citizens whose basic rights were being violated on a daily basis. It was not enough to tell them the law was on their side, they simply could not afford lawyers and lived with the threat of losing their source of income if they pursued legal action. At first, we tried to refer them to other organizations only to realize the dearth of legal aid options available to citizens in dire need. We decided we wanted to fill this gap ourselves–it was a logical extension of the legal literacy work we were already doing online,” Fatima explains. Furthermore, Shehri Pakistan’s pipeline contains animated short films, the provision of civic education in madrassas, a comprehensive civic education textbook, and the development of an educational and informative mobile app for adults, young adults, and children. This app will contain all of Shehri Pakistan’s content as well as role-playing games for perspective building, Shehri Lughat, a 24/7 legal helpline, and a virtual parliament in which users can debate legislation as members of parliament. The class divide in Pakistan is frequently documented in figures, percentages and statistics. Yet the divide is not in want of numbers when its evidence can be located in an everyday spaces and attitudes. Recently, a Twitter user commented about witnessing a woman glaring down a man in a local mall by loudly expressing her disgust towards the “ghareeb aadmi” of his kind venturing into such places. The incident could be brushed as an isolated outburst of a rude individual, but not quite. It is illustrative of a wider phenomenon: the deeply-held classist and elitist entitlement and resentment in urban public spaces. “Mahol kharab kardia hai” is a thinly-veiled expression for the elitist inability to share space with the “aam awaam.” The classist elitism is driven both by a revulsion for the lower classes or perhaps any class below the upper middle and upper class, and an open desire for exclusion of these “others” to maintain a monopoly of certain territories. This classist and elitist territorialism appallingly hinges on asserting that the right of ownership, access and participation in certain spaces lies and is retained in the exclusive domain of a single group, while quite literally asks for the class divide to be enacted and reinforced on ground. In such an imagination, members of the lower, working or even middle classes, and members with rural backgrounds, are “cheap”, “tacky” and “paindu” in their attire and ways; polluting the ambience of places conventionally associated and visited by the urban, affluent and educated sections of society. Any woman can attest with absolute certainty that harassment is not a class problem. We’ve been made to feel uncomfortable in various public spaces, even in ones entirely visited by men of the seemingly “educated” and “refined” classes. When it comes to harassment, what we have is not a class problem but a gender problem. To reduce harassment to class is a dishonest and dangerous narrative. It remains to be proven, however, how a class, with its superiority complex and faux sophistication, entitles its members monopoly over public spaces. And it remains to be reminded that all persons in this country have an equal right to enjoy malls, parks, events and whatever else there is. This is especially important considering the present situation: the ubiquitous fear and danger of security risks have considerably throttled cultural and recreational life in the country. Gone are the days of frequent concerts, festivities and cricket matches. A careful attempt at revival, however, has begun since the past few years with the opening up of certain narrow channels of entertainment: restaurants, malls, cinemas, and occasional festivals. Public spaces and events as they are, they’ve allowed various segments of the urban population to access and participate in them, but as much of a breath of fresh air this has been and as welcoming as the democratization of public space should be, it has been accompanied by the aforementioned discontentment in certain quarters. Although several classes still remain barred from accessing these spaces and events due to the limits of familiarity and financial affordability. But ask those who remain repulsed, wronged and affronted by this development and images of an utter disaster would be conjured up. Who let these hordes of the hoi polloi into our idyllic abodes of privilege and into spaces which must only belong to us; the most special, the most cultured of them all. After all, haven’t you heard how fluently we speak English? This segregation of the poor from the prosperous, which is often proposed for existing public spaces, events and activities, already concretely manifests itself and is enforced by the construction and maintenance of various housing schemes like Bahria Town and DHA which are, in effect, gated communities that do little to welcome and accommodate but a particular class. The entire landscape of such housing communities is oriented and designed to attract and entertain the rich or the rising. Take parks and tracks, for instance. Access to many of them is contingent upon memberships, the fees of which are often hefty and unaffordable except for a particular lot. The situation is compounded by the abounding suspicions and caricatures about the poor within these areas. Earlier this year, mass texts purported to be from Defence Housing Authority Lahore circulated among residents, cautioning them against allowing their domestic help from interacting with other workers in the neighborhood to “control the increasing number of thefts and other social evils.” The poor are welcome in these housing schemes and communities, but only to be sequestered in servant quarters, under the strict surveillance of their sahabs and bajis. Even keeping aside the posh housing schemes and communities, which “often deploy a mix of methods in constructing space and regulating the flow of undesirable bodies”, the case still stands. Ammar Ali Jan, in fact, traces the development and management of Lahore itself as an urban space to specific colonial and post-colonial calculations and objectives which converged at “render[ing] the poor invisible” and the creation of a “demarcation….between the elite areas of the city and those that contained Lahore’s working people.” Clearly spatial demarcation and confinement of the poor precedes, but aggravates, the exclusion from the few public spaces and recreational facilities that the poor too can avail. But while the socio-economic gulf may be replicated and reinforced structurally in the design of the city as an urban space and elite housing communities, that does not trivialize the weight of exclusionary mentalities and behaviors which desire and drive away those of the lower and marginalized streams from the few places and areas they may be able to access, even if they are unable to participate equally or frequently in them. The arrangement of urban spaces ought to be critically interrogated for the exclusions they foster, but so do individual attitudes. The next time you find yourself wincing at the sight of someone from a different class visiting or occupying the same space as you, stop and reflect for a moment the discriminatory, demeaning and disdainful nature of your prejudice. The reasons for denying members of different classes the right to enjoy public spaces, events, activities can be endlessly contrived, but their underlying classist and elitist nature cannot be denied. There is a long route to take if such frameworks of thinking and inhabiting spaces are to be overhauled for a truly inclusive society but a few steps towards it are both necessary and significant. It is crucial for people to learn to see and truly treat, with respect, those separate from their class as equal human beings and citizens who have the right to occupy and share spaces, comfortably participate and claim visibility in them. Although the acceptance of such a perspective may still prove to be tremendously difficult for some. I usually do make sure to capitalize the G in “God” but this time, deeply immersed in writing, I hadn’t paid much thought. The message, however, left me amused. What a strange thing to be pointed out. Had I committed an affront by not capitalizing “god”? How much did it really matter? I pondered, only to be reminded of my own relationship with my Creator; Keeper of my soul and its secrets, my Rabb but also, closer to me than my jugular, my closest friend, confidante and companion; the only and eternal Mehram of my haal; the One to whom I have cried, wept, pleaded in the day and in the dark; the One to whom I take the most trivial of my tensions and wishes to, the One with whom I have shikway and often even narazgi; the One whose mercy outstrips His wrath, the One who wants me to invoke His name and turn to Him even when I am only in need of the lace of a shoe or a spoonful of salt (and I do). I worship Him, I remember Him, I thank Him, but even as He reigns, in His Endless Might and Magnificence, I candidly converse with Him, I pose questions to Him, I pester Him, I seek His Benevolence. I will, of course, continue to write God with a capital G. But I don’t think the God I know will mind if I don’t, because I have, for the longest time, considered the Divine to be much greater than the many limits of our imagination, our fears, and the confines we inhabit, establish and seek to constrict everything in, especially in His name. Khuda nahi, banday ki soch choti hai. 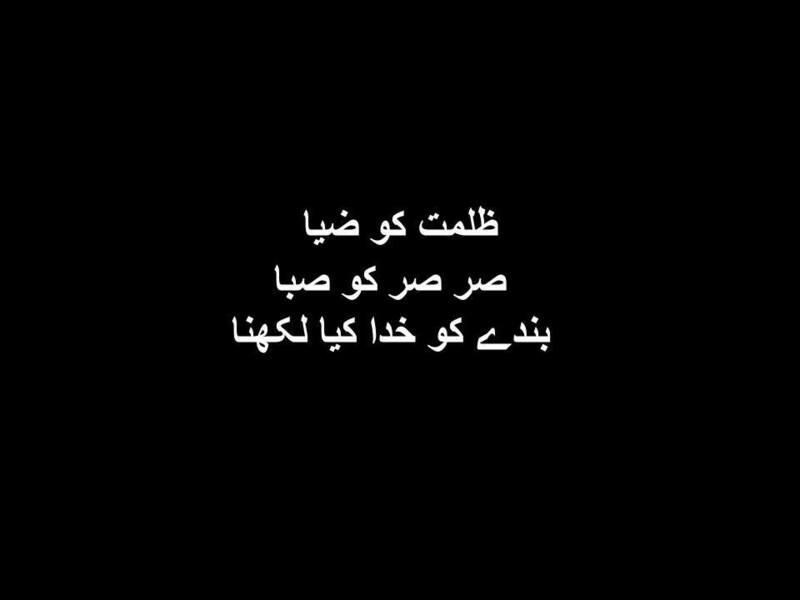 Khuda bara hai, hamari soch ki sarhad’on aur had’ood se, aur aik nuktay aur harf se tau kaheen ziada.